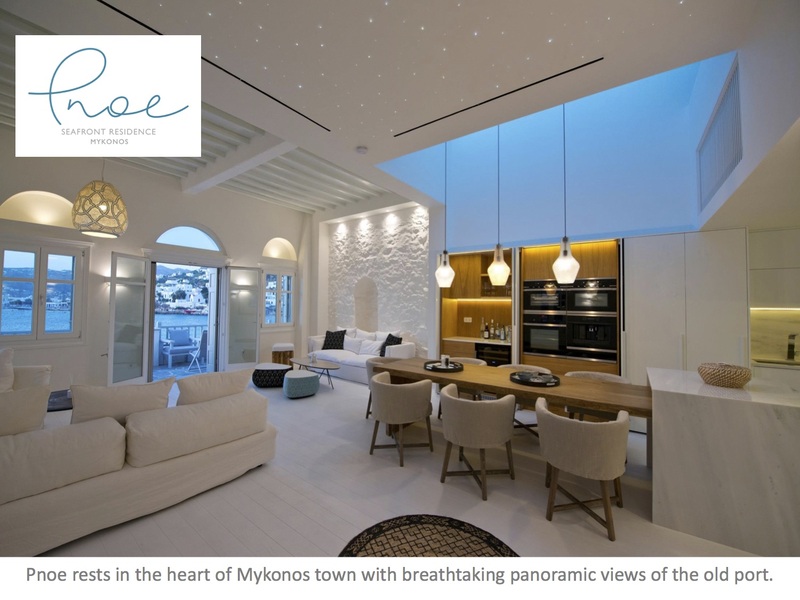 Pnoe rests in the heart of Mykonos town with breathtaking panoramic views of the old port. 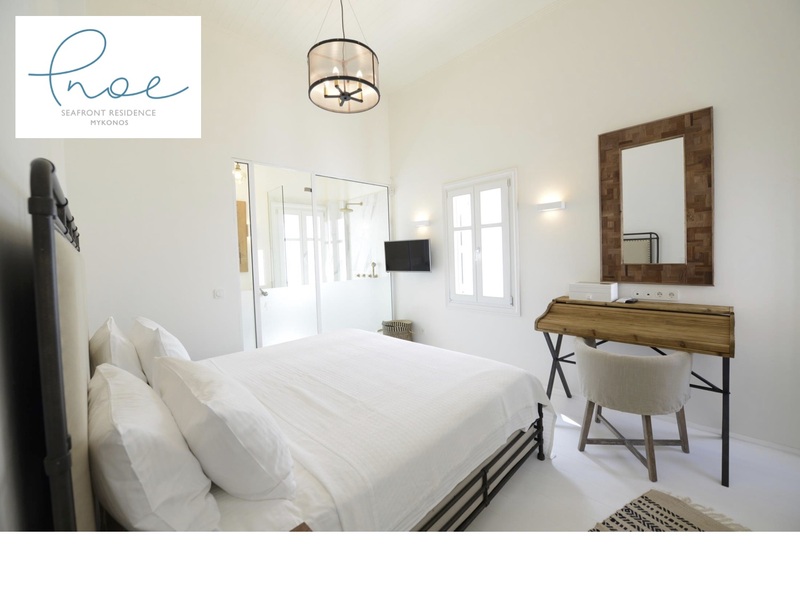 The residence consists of three spacious bedrooms with ensuite bathrooms. 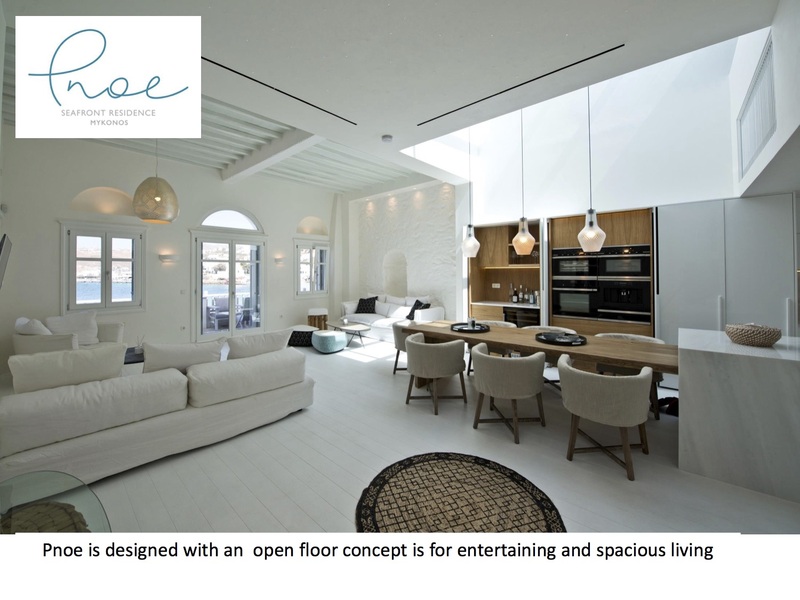 Pnoe is designed with an open floor concept is for entertaining and spacious living. 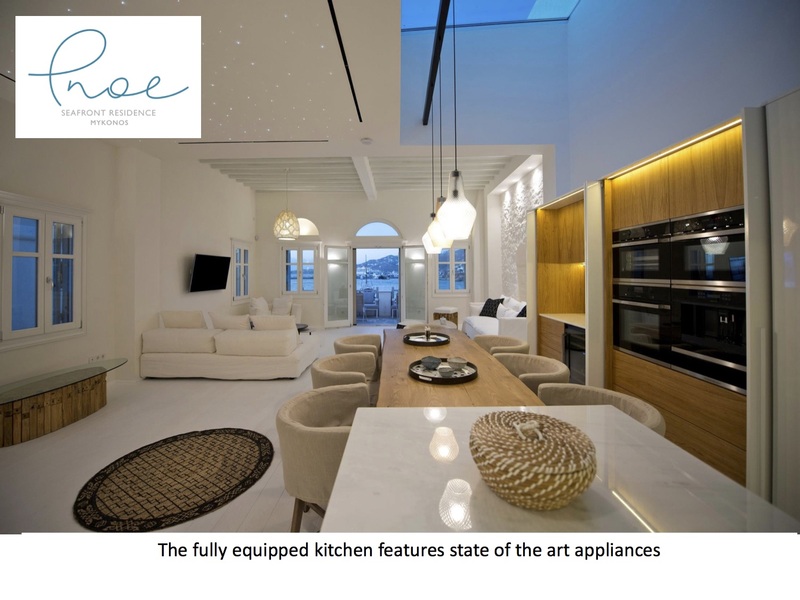 The fully equipped kitchen features state of the art appliances. 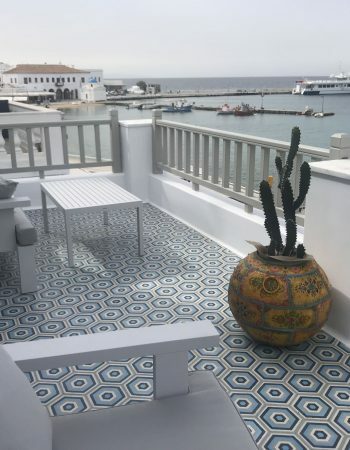 Our seafront terrace offers the most exclusive views of the old port of Mykonos. 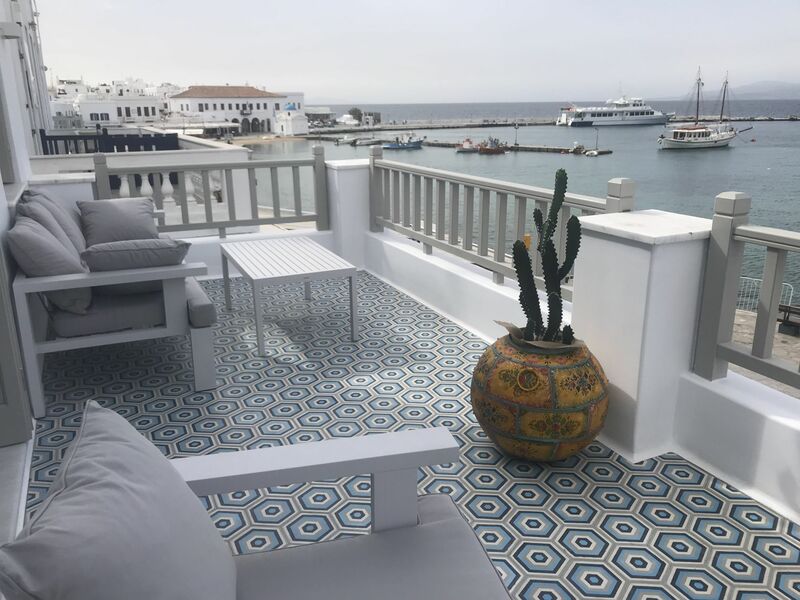 Let us create a memorable Mykonos experience for you with our custom services and attention to detail.